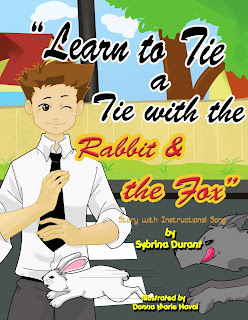 Sybrina Durant's "Learn to Tie a Tie with the Rabbit & the Fox: Story with Instructional Song," illustrated by Donna Marie Naval, is a clever mnemonic story intended as an activity book for families with children. The story describes the encounter between a carefree white rabbit and a ravenous gray fox. One afternoon, when the rabbit is foraging for food far away from his cozy, underground home, he stops to enjoy the tastiest shoots. But soon, the aggressive fox, hearing the rabbit chomping loudly on the grass, stuns the little rabbit into a shocked state with his approach. With a racing heart, the rabbit quickly comes to his senses and bounds off to avert the fox's attack. 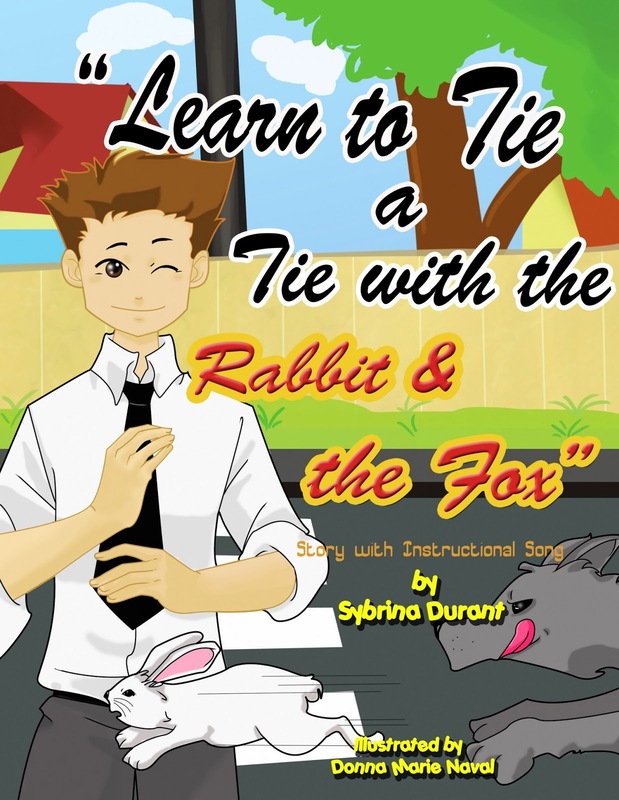 At this point in the story, simple diagrams on how to tie a tie are included that parallel the chasing patterns between the fox and the rabbit. For example, just as the rabbit slides under the bush, the tie blade slides under the neck loop. Children and parents alike will delight in the tale's creativity, the hands-on practice of tying a tie, and the illustrator's energetic and bright designs, as well as the accompanying song that helps commit the skill to memory.